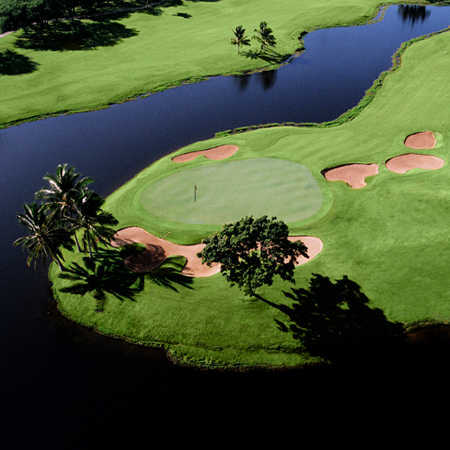 Ewa Beach Golf Club on the island of Oahu is a challenging 18-hole course carved from a Kiawe forest. The layout is reminiscent of a traditional Scottish links golf course. 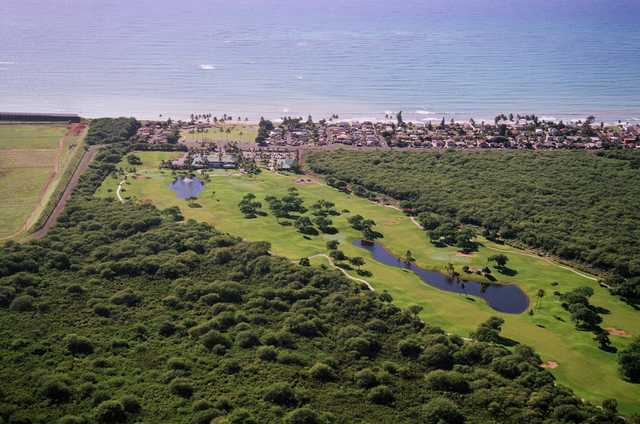 The course features rolling fairways, water hazards, and numerous bunkers strategically placed throughout. Ewa Beach Golf Club is located on the Ewa Plain on the island of Oahu. 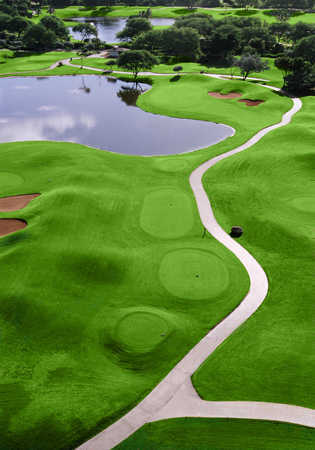 This award winning Robin Nelson Designed golf course first opened in 1992. Ewa Beach Golf Club was the first golf course in Hawaii to plant Seashore Paspalum Grass for its playing surface. Seashore Paspalum is a grass that is an environmentally friendly turf due to the fact that it can be irrigated with non potable water. 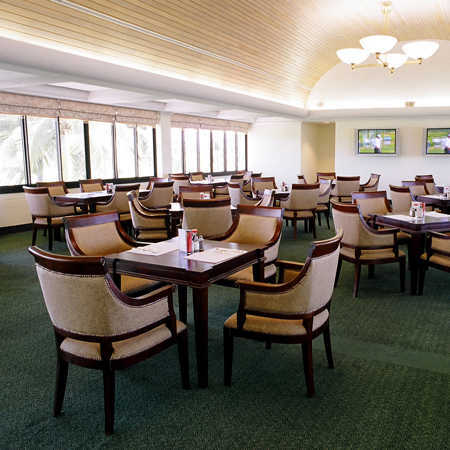 Ewa Beach Golf Club has design features that are reminiscent of a traditional Scottish links layout. The layout is designed so the outward nine to takes you away from the clubhouse and you return to the clubhouse on the inward nine. Another feature reminiscent of a Scottish links layout is the double green located on Holes #2 and #16. This double green is the only one on the island of Oahu. 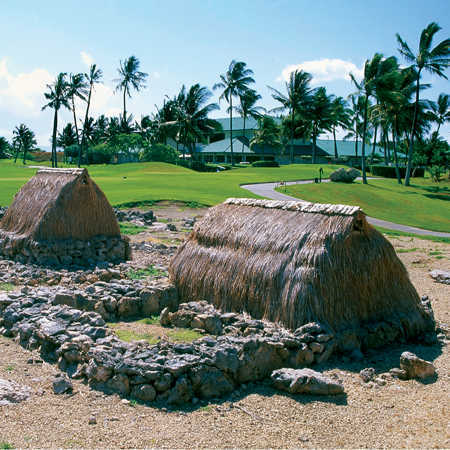 The links layout similarities end as Ewa Beach Golf Club is carved out of a Kiawe Forrest. Tree lined fairways put a premium on driving accuracy. 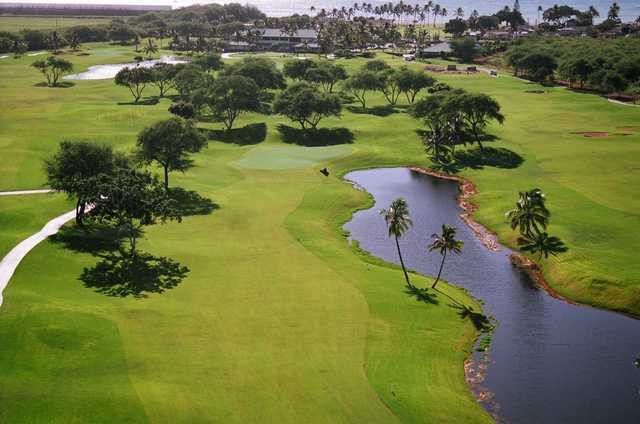 The addition of fairway bunkers and water hazards make Ewa Beach Golf Club a truly challenging golf experience. Dress code: Collared shirts are required. No tank tops, t-shirts, halter tops, strapless or backless tops allowed. Deceptively long, great green settings. 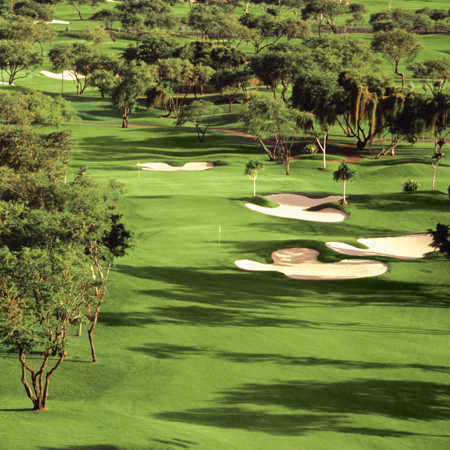 This course offers everything, good driving holes, holes where target orientation is a premium. Great selection of par 3's., excellent greens. 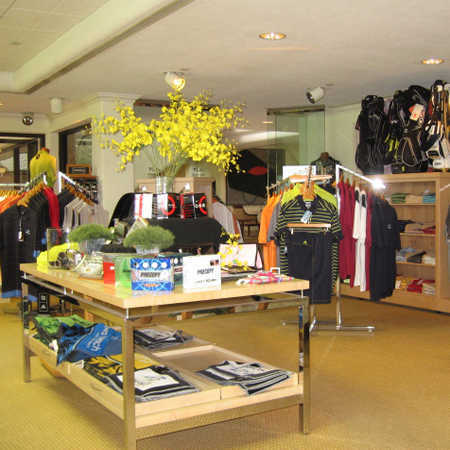 Friendly outside staff make it an overall great experience. The Ewa Beach course is a nice track but does not deserve a better than average rating. The course does not have a driving range or even a net to hit drives into. On a super wind swept course like this one you need to warm up and spending $140 I expected at least what I would get at a low end golf course. Ricky (asst. Pro) laughed at me when I said he should give a discount. We were supposed to play at Turtle Bay ($120)that day and opted to play at Ewa thinking it would be as good, it isn't! This course is a rip off to tourist but is worth the $50 they charge locals. Excellent all-around. Great course, well maintained and fun test of golf. Very friendly staff. A bit pricey, but worth a round for sure.